Women's wetsuits There are 7 products. The Patagonia R3 Yulex Front-Zip wetsuit is made for a warm body in cold water: 9-13°C. The Patagonia R1 Yulex Front-Zip wetsuit is the first neoprene free wetsuit. Made with 85% natural rubber. For cool water: 16-18°C. 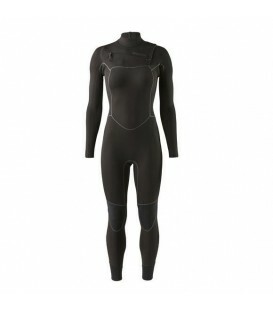 With your ecofriendly R2 wetsuit you will enjoy your autumn and spring surfing days like never before ... who said cold? 475,00 € Deliverytime about 6 days.